Syracuse Law provides a rich legal heritage dating back to its founding in 1895, yet it offers innovative and modern facilities and educational opportunities. Dineen Hall, the home of Syracuse Law, is named among the 50 most impressive law buildings in the world. Not only is the building impressive, but so are the opportunities for law students to obtain both knowledge and practical skills. Syracuse Law offers multiple clinical programs, including the Bankruptcy Clinic, Children's Rights and Family Law Clinic, Community Development Law Clinic, Criminal Defense Law Clinic, Disability Rights Clinic, Elder law Clinic, Low-Income Taxpayer Clinic, Securities Arbitration/Consumer Law Clinic, and Veterans Legal Clinic. The law school also provides numerous advocacy, judicial, and public interest externship opportunities, and well as externships in Washington, D.C., and New York City. 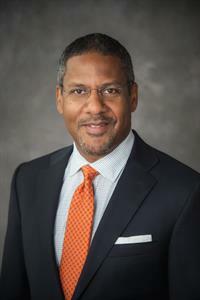 Since 2016, Craig M. Boise has served as Dean of Syracuse Law. Dean Boise is considered an innovator in legal education who navigates and adapts to challenges presented to law students in the 21st century. He has significant experience as both a lawyer and a legal educator whose scholarship focuses on U.S. corporate and international tax policy and offshore financial centers. We would like to thank Dean Boise for taking the time to answer our questions about the nature of legal education and the future of the legal profession. A significant challenge is the learning and honing the skills that are becoming an increasingly important part of a young lawyer’s job; skills such as project management, communications, and collaboration. These skills aren’t traditionally taught in law school, yet, but can be learned through externships, clinics and pro bono experiences. The biggest challenge is adapting to the changes in the legal profession and the legal education industry. For example, traditionally, law school is where you went for one reason – to earn a J.D. As the legal industry evolves, a J.D. is not always what employers need and yet there may be a requirement for legal knowledge and a similar skillset. As legal educators, we should think of ourselves as providing a legal education that is relevant to an emerging, different type of marketplace and or students who are seeking a similar career or knowledge, but not necessarily a traditional J.D. One aspect of the law that I see as growing is in legal compliance. The College of Law has a number of alumni in prominent roles within the compliance industry and after speaking with many of them, the need for lawyers in this field will continue to grow. We are assessing the skills needed to be successful in this area and will be examining our courses to make sure we are teaching what is needed to work in legal compliance. Technology, both inside the classroom and outside, has made an impact on being a law student. While in can be a great tool for research, it can also be a distraction. There is a greater emphasis on experiential education today than when I was a law student, which is a positive change as students truly need the practical skills you learn through externships and clinics. By and large, though, the fundamental classroom experience hasn’t changed that much in many decades. I believe we have an opportunity to improve the classroom experience by embracing more techniques that are often learned if you are studying to be a primary or secondary education teacher. Abraham Lincoln, Barack Obama, and Thurgood Marshall.